Organizing supplies is going well but taking longer than I would like. Trying to use some common sense in placing those items used more frequently to be most accessible while those rarely needed stuck in the back behind something. I have ammunition housed in ammo cans and labeled by caliber and quantity. Those are meant for storage while other boxes are shelved in a cabinet for everyday use. Basically the ammo cans are hands off “hold ’till the SHTF” and practice/plinking ammo sits on the shelf. Food has been a major obstacle as the wife and I are on opposite ends of the opinion spectrum. She feels we have enough and I feel we are not even close. During the Fall and Winter I do store more food – canned and buckets – in the garage due to lower temps. I just recently carried several cases of LDS canned foods up to the master bedroom and slid them under the bed. There was nothing occupying that space besides a random sock and an occasional cat. Weapons are not a huge deal other than my gun safe is PACKED and I need a second. Funds to not provide a Liberty though I hope to pick up another in the Spring or Summer. Not sure why I am capitalizing the seasons. Guess just showing Mother Nature some respect. There I go again…. I have a bunch of totes for Medical, Cooking, Light, Defense, etc. Each tote holds a variety of supplies within that category. The Defense tote for example holds a bunch of extra magazines – for use and for barter/sale – as well as misc slings, grips, and even a couple of red dots and flashlight mounts. I will consider my organization complete when I have a place for everything and a complete inventory. I have done it before but then got slack keeping it up. Another “next year” project is to purchase a small trailer to pull with my Jeep – or Expedition. This trailer would be preloaded with supplies so if an evac needed to happen it can be hooked up and “ZOOM! !” – outta here. Gotta get back to it. From what I have seen, one needs food for at least two years. Lack of rainfall in the critical year reserves are tapped might prohibit getting a garden started. 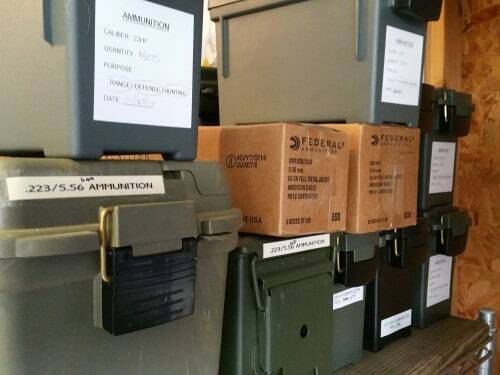 PR – The plastic ammo boxes are cheap and allow for easy organization – that’s all. I much prefer the metal ones and have several. The price increases over the past several years have led me to pick u a few of the plastic ones. I don’t pretend to think they are anything more than just a storage method. I would not count on them to be waterproof and if I threw one across the floor no doubt it would break with ammo in it. Hmmm . . . You’ve got me thinking. I am seeing a need for 2-3+ years food as mini ice age and all bets are off. Also have a deep need (like a gnawing need) for 10+ years firewood stocked up/ hidden . . .
rapidly so you may want to mix it-some green- some seasoned .-or are you referring to a woodlot? The mini ice age is more imminent than you may realize- John P and I will be writing about it soon. PR Yes we prefer the metal ammo boxes but they are more expensive and heavier to move. Thanks Rourke. I’ve seen the plastic tubs in gun shops and was never impressed. They look like they would be hard to stack more than a few deep and if so, might be compromised by the weight of ammo. Ammunition is expensive and deserves the best in protection. Of course any ammo in a can needs desiccant. I have tried all sorts of labels for my ammo cans from magic markers on the metal can to computer generated adhesive labels. The problem with both is that they are relatively permanent as it is hard to peel off the adhesive labels. Over the years, I’ve found the best marking method for me is a magic marker label on low adhesive 2″ painter’s tape. I carefully go over the labeled tape with clear plastic strapping tape, also 2″ wide, leaving about an inch in length on both sides. The clear plastic tape keeps the labeled low adhesive tape from easily being defaced. I label the cans underneath the bail/handle, across the top, and on one side. Lot of work but the cans are easily identified. I like the 3M painters tape and have the strapping tape on a dispenser for easy cutting. If I have to re-label a can, I peel the label from the edge center and the low adhesive easily comes loose. I tear it and the plastic strap tape up from the can and then peel the pieces from the center to both ends. Only occasionally does a piece of the plastic strapping tape remain behind on the can. I use green tape with red marker for ammunition, blue tape with black marker for electronics and other items. I have found that “Goo Gone” works great in removing Avery labels and felt pen from metal, glass, and plastic. I get the larger bottle at Wal-Mart but the Dollar Tree has a smaller bottle. I now use Avery labels, trim the length a little, and put on the bail side of the ammo can. I make shelves of 2×12’s between the support posts in the basement for storage. I only use the plastic ones for lighter loads, not ammo. I talked with a bulk ammo seller who had ammo come in both metal and plastic cans and he hated the plastic (different from the OD green Plano ones) as they popped open on him. On the trailer, do yourself a favor and get one with a 6′ inside height. I used to have a single axle 10′ and it worked good, but I sold the business I was using if for and then the trailer. I now have an 8′ but the inside height is 5′, so I’m always hunched over to work inside it. When loading heavy stuff the higher ceiling is a real plus. That being said I pull mine with a full sized pickup and pulling it with a jeep might necessitate the smaller one due to the width. I personally would like one that is 8′ long, 4′ wide, 6′ tall with a ramp. But that is in the custom trailer range. Guns, heat, light, firewood for about 8 years are pretty well covered. But, as with John, the wife and I don’t see eye to eye on the food storage. I know that if it hits the fan, there will be at the minimum of 11 people here a the homestead, maybe more. I don’t see the rest of the family doing anything to prepare. But the wife takes the approach that … “it won’t happen”; if it does, we’ll just have to die; she wouldn’t want to live thru it anyway. I prep for my family. Somehow, I’ve got to get the realization established that we need to put away more. Anyone have access to the upcoming winning numbers on the Lotto? I love your ideas on how each of you stock up and what you consider is the most important. One thing that I can add is something we do. We color code each category. For example first aid products are stored in a red tote. Food in a green and misc. are in blue. Each tote is labeled with the contents and the most important are stored on the top. That way if time is limited you grab the first of each category and keep going down the stack until you run out of time or totes. Angela-Thank you .What a great system!!! Oren- please keep storing food any way you can. Your wife will be happy when the SHTF. Maybe she wont want to live through it but you and your family may well want to. I am using food grade seal-able plastic 4-5 gal buckets.. some 1-2 buckets too.. rubber gaskets .. haven’t invested in Gamma Seals yet. I’m thinking I don’t want to write what is in what for casual viewing .. I like the color coding with an in date and a use date. still working on my methods.. and you guys are WAY WAY ahead of me in storage volumes..
How many of you guys think bugging out is a real option ? and how many plan to bug in an defend ? Age, condition, medical .. depends on what you are willing to endure I suppose. I’d like to think I can grow a lot of it .. after canning this year it will take a lot more than I knew ,, and still be able to protect it… considering a second large dog.. so I can sleep occasionally. 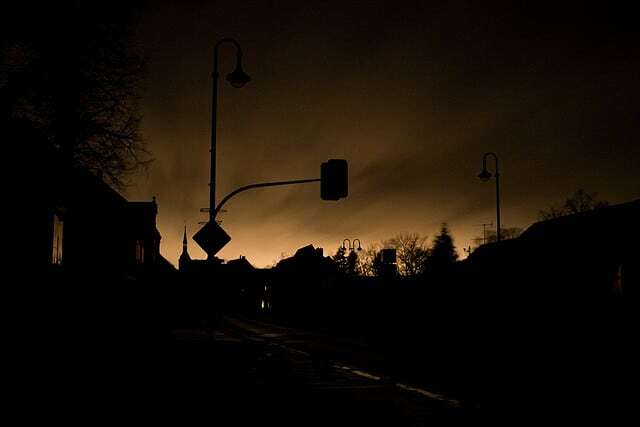 The bug out vehicle recently was a good article .. if vehicles work.. doable..
wife and food .. ditto .. as well as ammo etc etc ..
Oren, hey I can help you out on the Lotto numbers. I think the cash payout for tomorrow night is about $90 million or so. I have a 50% off deal – I’ll give you the winning numbers for only $45 million as long as it is in gold bullion sent to my offshore account. :-0!! Thanks for the tip JP. For now the low adhesive painter’s masking tape with strapping tape on top works for me. Cleanup is as simple as pulling the tape off of the can and throwing away.